House cleaning is a booming business because many people do not want or simply can’t clean their own houses after spending a long day at their job. 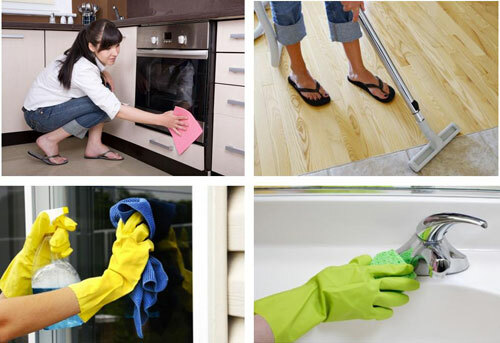 There are several steps on how to start a house cleaning business. This is a business you can start on your own and then hire employees as needed. It is a business you can start on a part-time basis and work out of your home. As you expand your list of services and hire employees you can rent an office and storage space. Even if you are currently cleaning houses, you will have to think of a company name as you initiate the process of how to start a house cleaning business. It is also a good idea to start searching for a domain name for your website even if you are not ready to tackle that job (someone will do it for you eventually). Go down, usually, to the local county office and register a doing business as. This is also known as a DBA. You will have to check and make sure the name you want is available. Many small businesses start as a sole proprietor and then change their status to an LLC, Limited Liability Company, as they expand. Now, it is time to take a few more important steps on how to start a house cleaning business. Take the DBA registration to your local bank and open your business account. It is also a good idea at this time to order your business cards and other advertising products. You can do this at your local print shop or online where you can build your advertising material from templates. It is also time to visit an insurance agent. You can purchase insurance to cover any damages you or your employees might accidentally cause. You can maintain your own financial books if you are the only employee. If you have employees it is best to retain the services of an accountant so they can file reports with the Internal Revenue Service. One of the steps on how to start a house cleaning business is deciding what services you are going to provide and how much you are going to charge. This will prevent misunderstandings and complaints. There are so many phases to the house cleaning business. Some of the points to take into consideration are the initial house cleaning visit, carpets and windows. The first house visit takes more time and usually requires deeper cleaning. Carpet cleaning requires the purchase of special equipment and supplies. Window cleaning might require the use of ladders and experienced employees willing to do this type of work. It is important to make an itemize list of what is included in the service. Be sure to include business promotion on the how to start a house cleaning business list of yours. One of the simplest ways to advertise is on Craigslist. People looking through this listing are usually looking for someone immediately. Your website is another tool to promote your business. It allows people to shop at their convenience. It helps if you use keywords to help the customer find you. House cleaning plus your city name (e.g house cleaning in new york) are good key words to get your business to the top of the search results for. However, this will take time and will cost in search engine optimization funding. Alternatively you can try paid advertising. 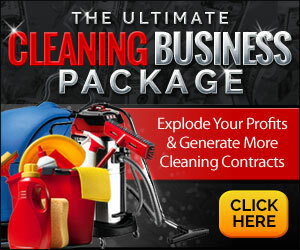 We highly suggest that you read our full guide on how to start a cleaning business. We believe it will greatly benefit you. Good luck on your quest on how to start a house cleaning business. Next post: Office Cleaning Business. Start your own.